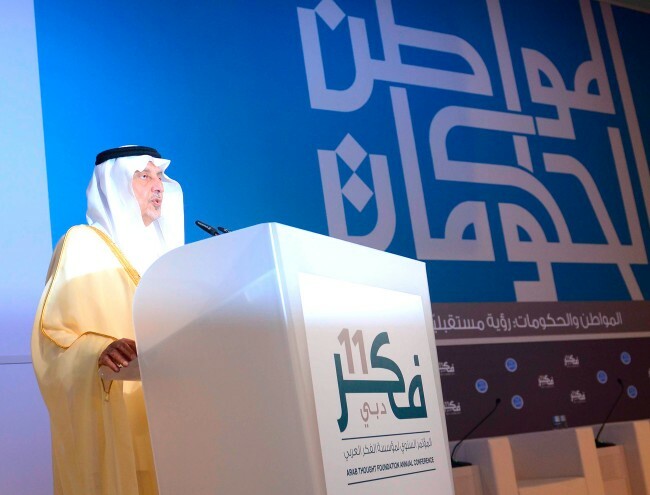 Every year, the Arab Thoughts Foundation hosts FIKR, an annual conference that takes place in a different Arab capital, and during which thinkers, researchers, decision-makers and intellectuals from across the Arab world meet to treat a major subject or pressing issue facing the region. Up until 2011, ten successful conferences were organized by the foundation to date- yet the graphic visualization of most of these previous events were weak and never really reflected the ambitions or cultural values the foundations stands for. The foundation approached us at Tarek Atrissi Design to help lift the visual identity of the 11th FIKR conference, which took place in Dubai. We were very excited to work on this project because it is the exact type of graphic design project we are always interested in: Its main ingredients are cultural, Arabic, intellectual and social. 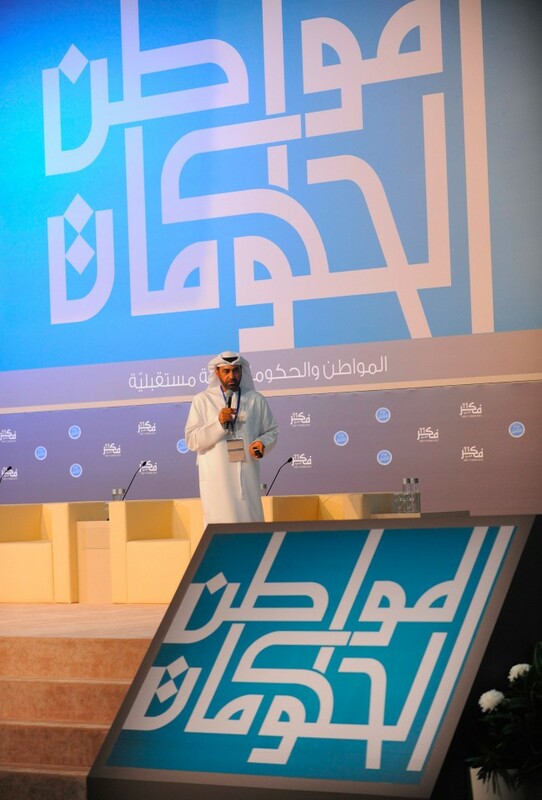 The topic of the 2012 conference was “Citizens and Government: Future vision”. This was a very challenging theme to be visualized due to its abstract nature. It was our chance to follow a typographic solution for the conference branding, because we always believe that typography is one of the most efficient tools to visualize complex themes. Our goal was to work with Arabic typography in a graphic level that rises up to the Foundation’s deep interest in Arab core identity. 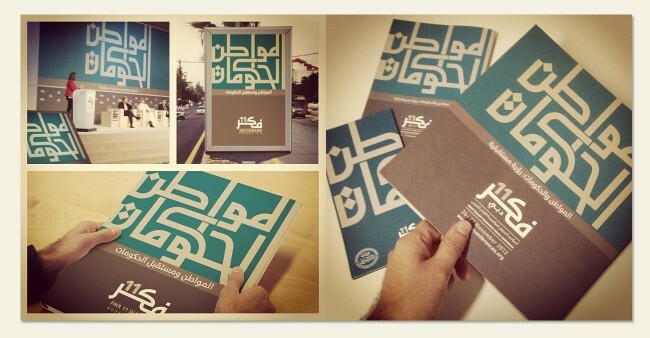 The typographic concept focused on linking the two keywords of the conference theme: “Citizen” and “Government”. A geometric custom lettering crafted this typographic and metaphoric relationship to create a composition that names the event’s title yet that worked as a composition in itself; A typographic composition that became the main element for the visual identity of the event, used in a consistent manner on printed and digital material for the conference’s branding. 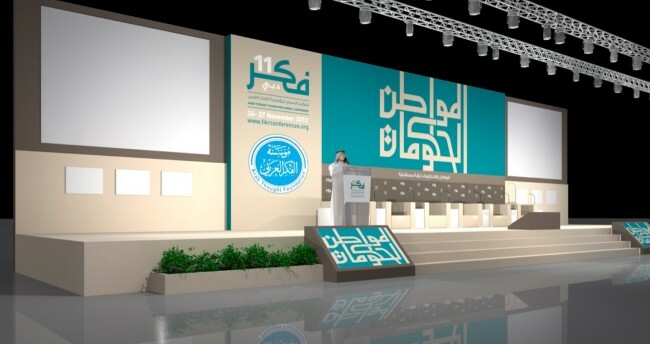 Previews of the visual identity created for the 11th FIKR conference held in Dubai in November 2012 are shown above. A simple yet bold and recognizable identity exploring the potential of Arabic lettering in a branding context.